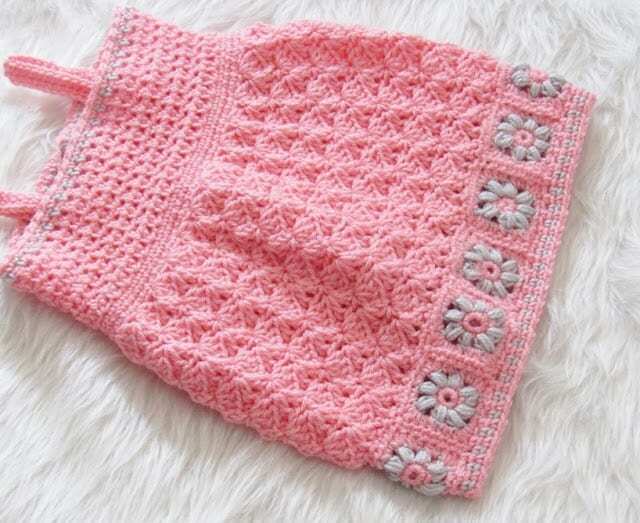 Welcome spring by crocheting this floral dress in soft hues for your baby. The lacy bodice perfectly complements the slanted shell skirt and the floral border. 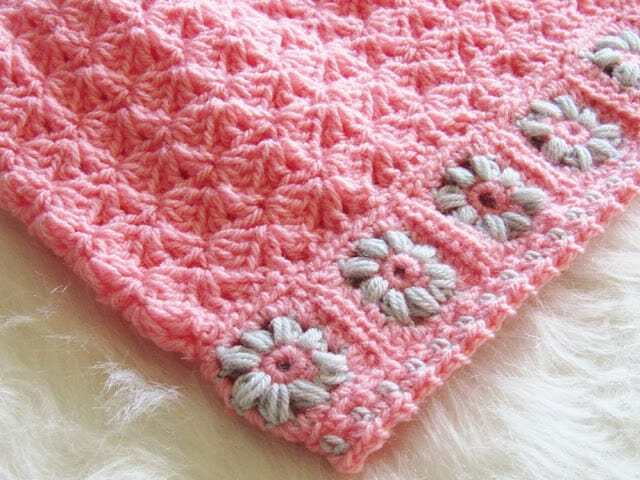 A Moss stitch edging adds a subtle detail that is easy to work. I loved these two colors together and am excited to see what colors you will make this dress in. 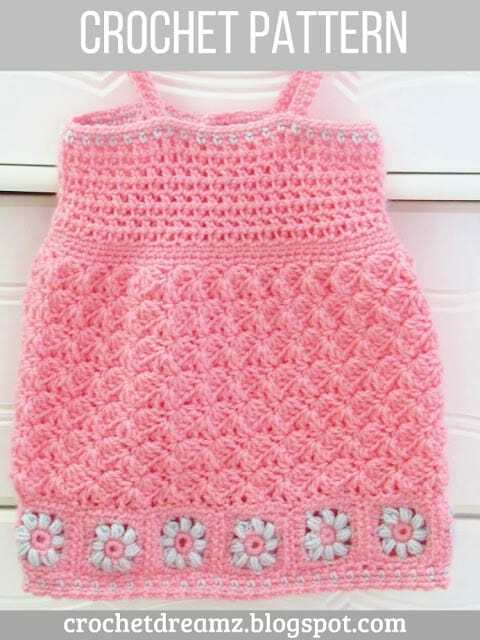 *This crochet pattern is written in standard American terms. Payment can be made securely through PayPal using your credit card or PayPal account, see FAQ for details. Once the payment is made, the pattern will be emailed to you within 24 hours. 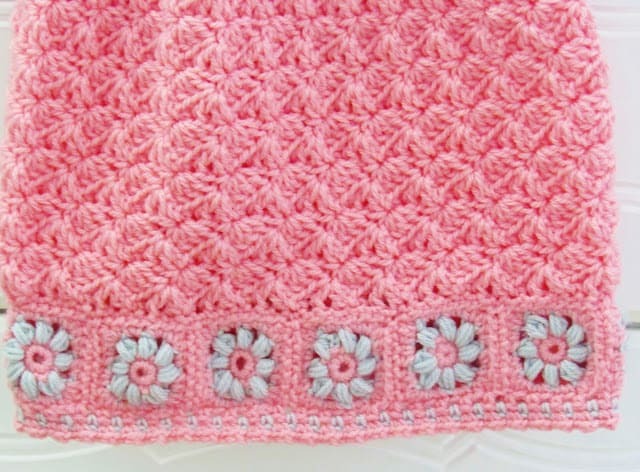 If you have any questions or fail to receive the patterns please use the ‘Contact Me’ form on my blog, top left. Please do not resell the pattern itself or pass it onto others. All my patterns are protected by copyright. Read my Copyright page for more info.